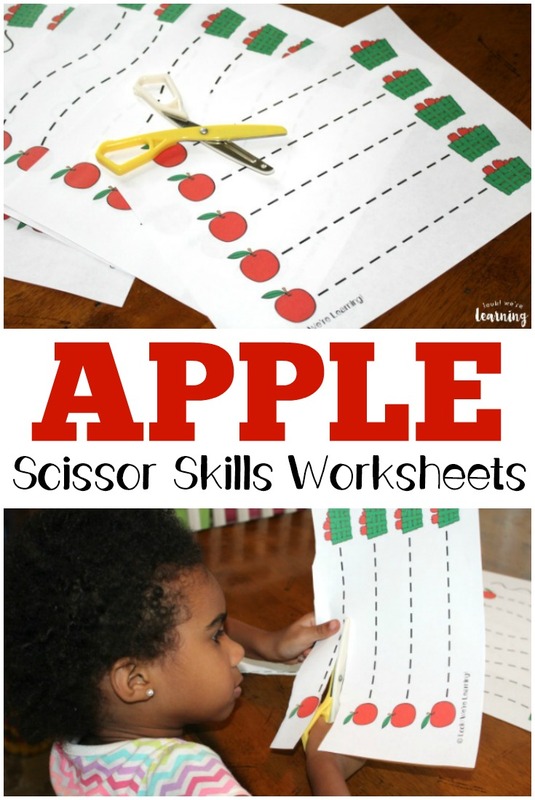 Preschool Worksheets: Apple Preschool Scissor Skills Worksheets - Look! We're Learning! 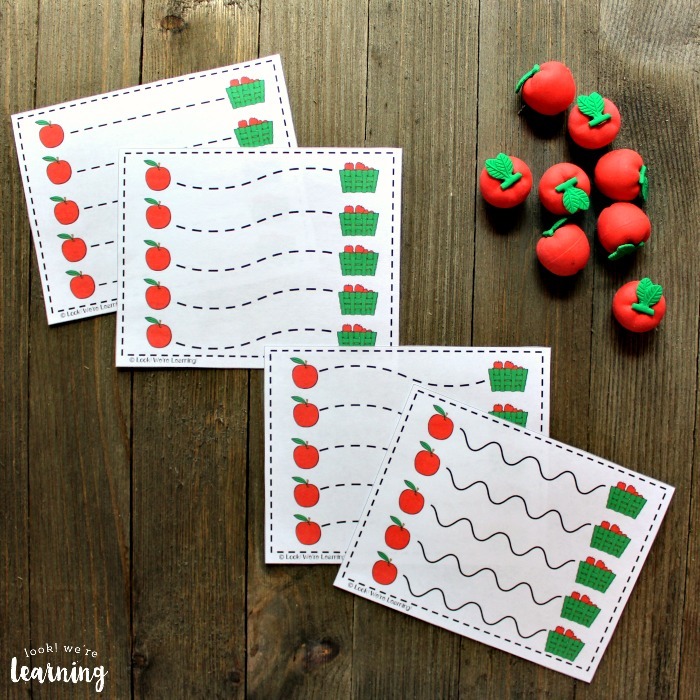 Working with cutting practice can be a little bit boring for little ones. 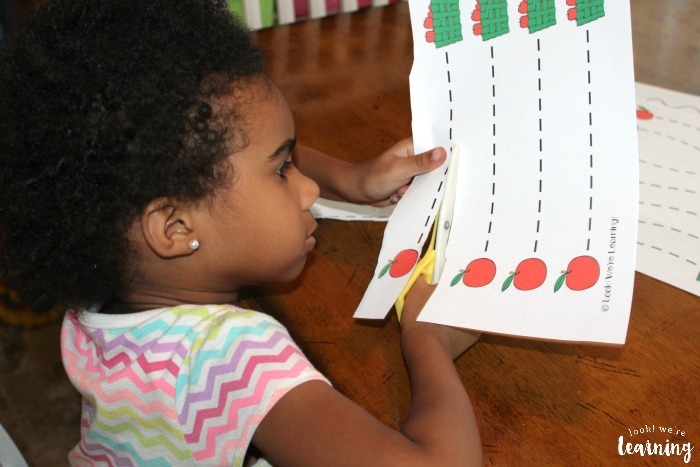 After all, what’s fun about just tracing lines up and down a page with a pair of scissors? 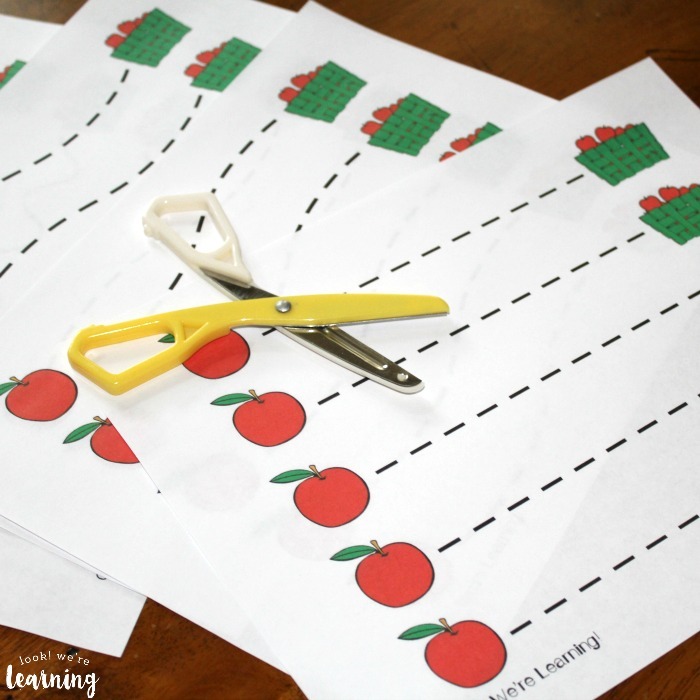 Which is why it’s fun to add themes to scissor cutting practice! 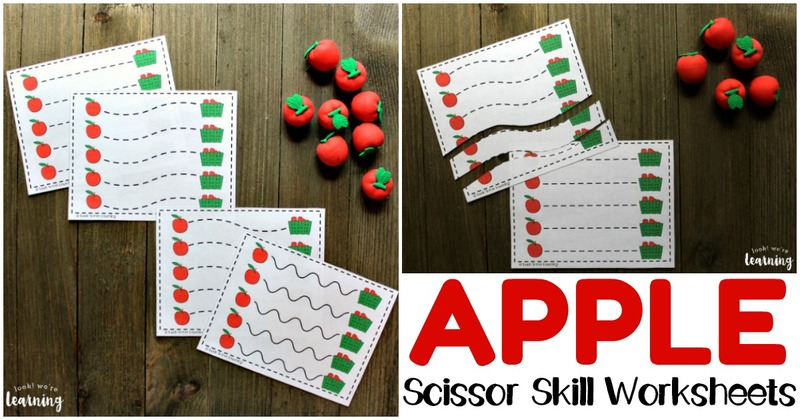 Kids may not like the idea of “practicing” but they will love putting apples in the apple basket when they use these apple preschool scissor skills worksheets! 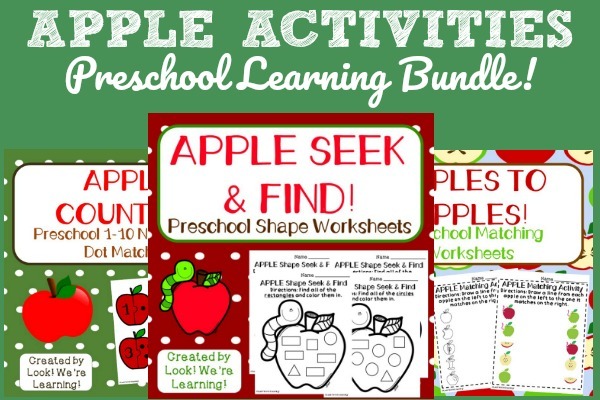 With our little one, all I had to do was hand her the printables and say “See if you can use the scissors to get the apple to the basket” and she was off! 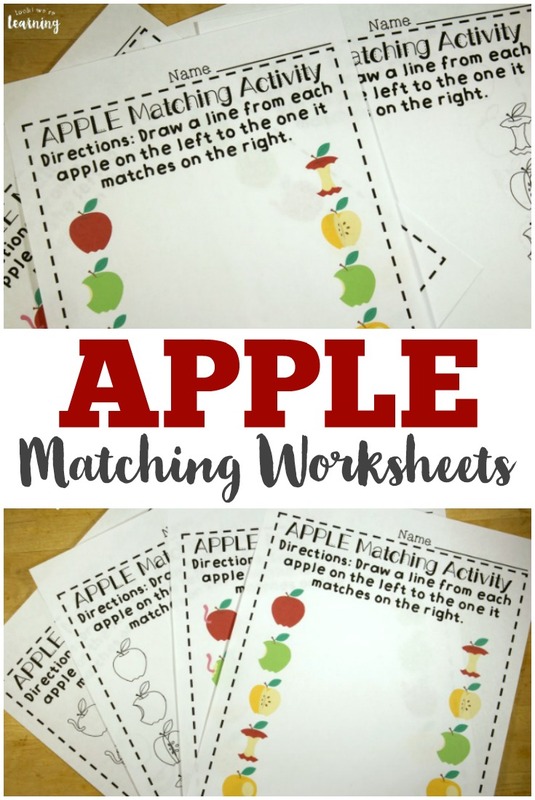 If these worksheets go over well with your kids, be sure to try some of our other preschool worksheets and activities, including our racecar scissor skills printables or our apple preschool counting puzzles! 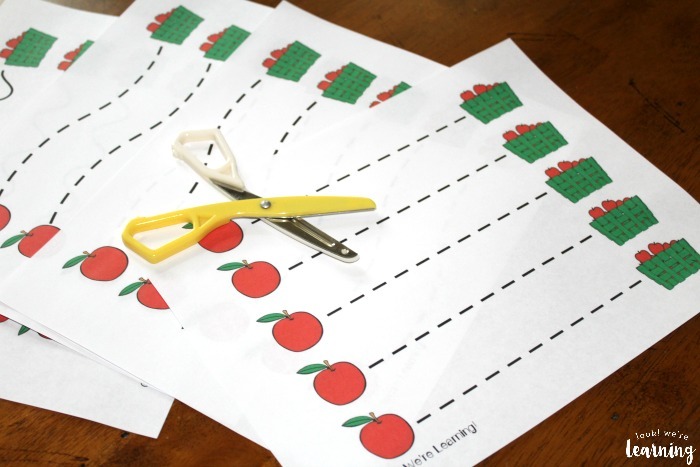 Each of these scissor skills printables features a different dashed line for kids to cut. 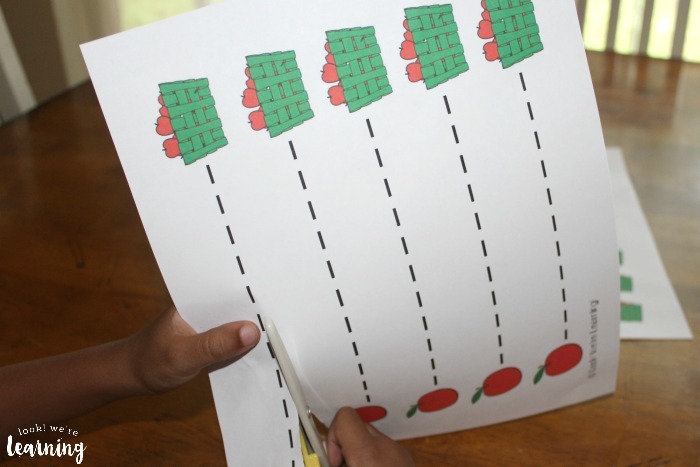 One has a wavy line moving from left to right, and one has a wavy line moving from right to left. A third has a straight line, and the last has an extra curvy line. 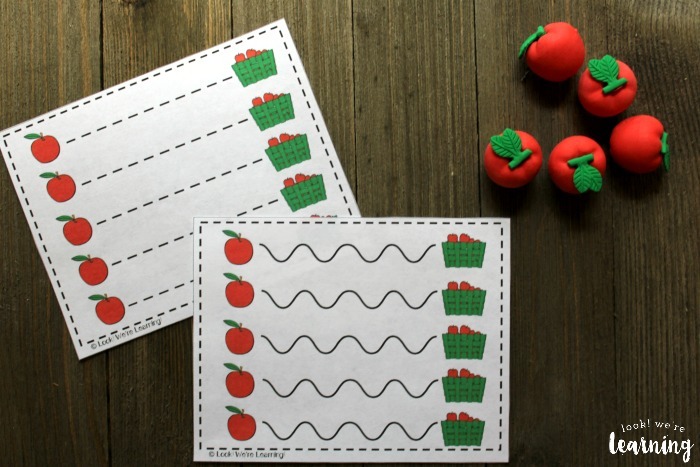 These would be a great fit for a preschool apple unit, but you could really use them any time of year. 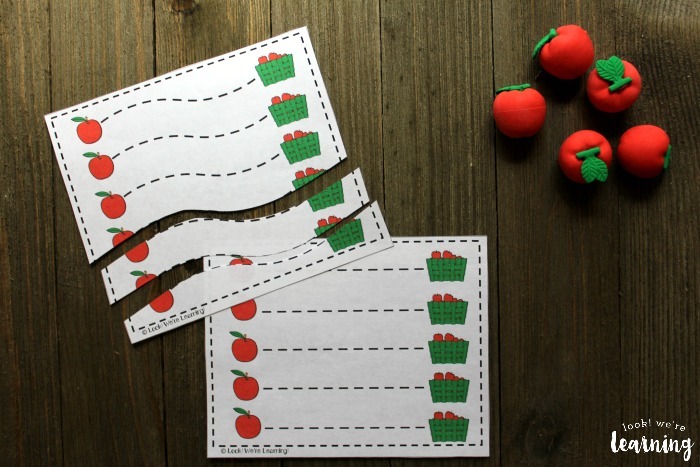 Let the kids know it’s okay if the lines aren’t cut perfectly. After all, we’re learning, right? 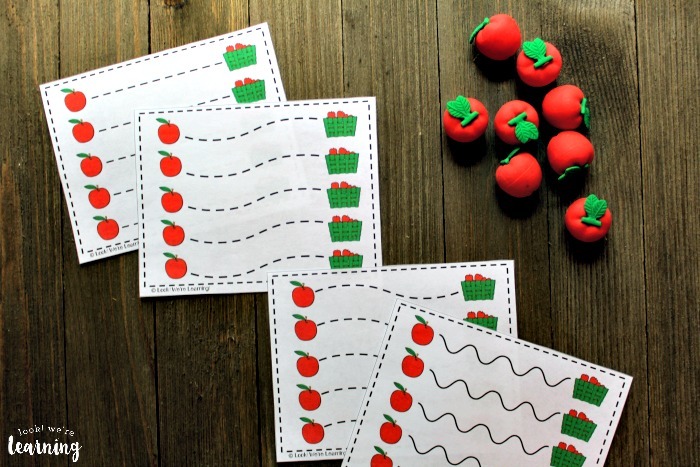 Be sure to serve some fun apple snacks afterward! 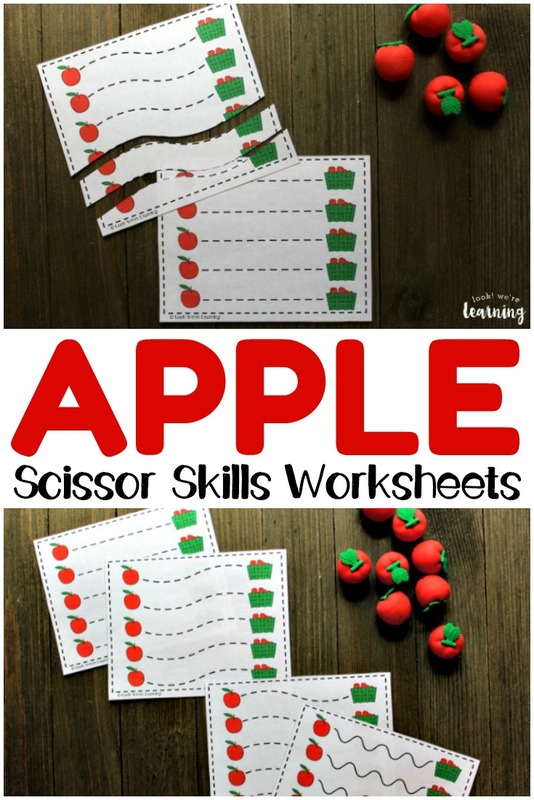 Scroll down to get your Apple Preschool Scissor Skills Worksheets! 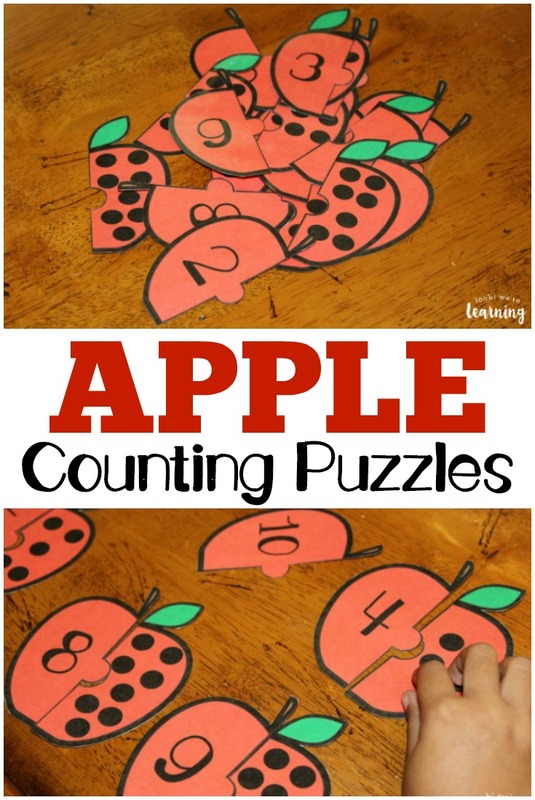 Don’t miss these other apple-themed learning ideas for kids! 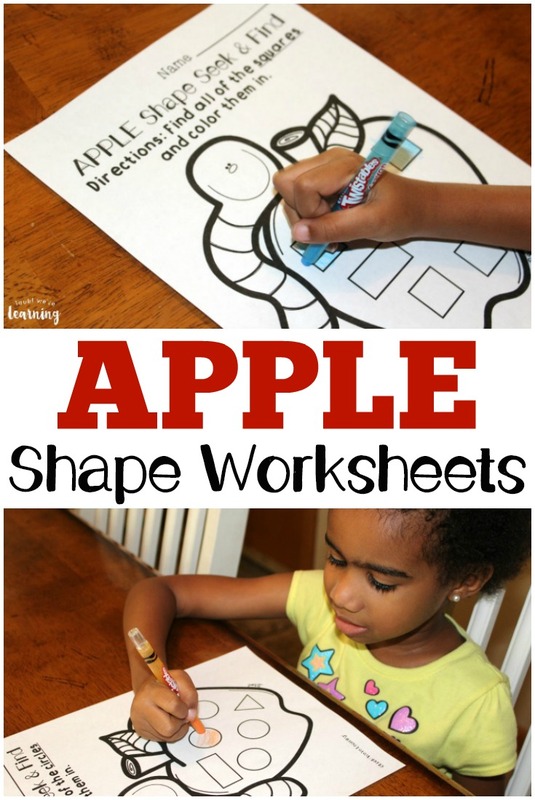 And see more ideas for teaching during autumn on my Fall Activities for Kids Pinterest board! 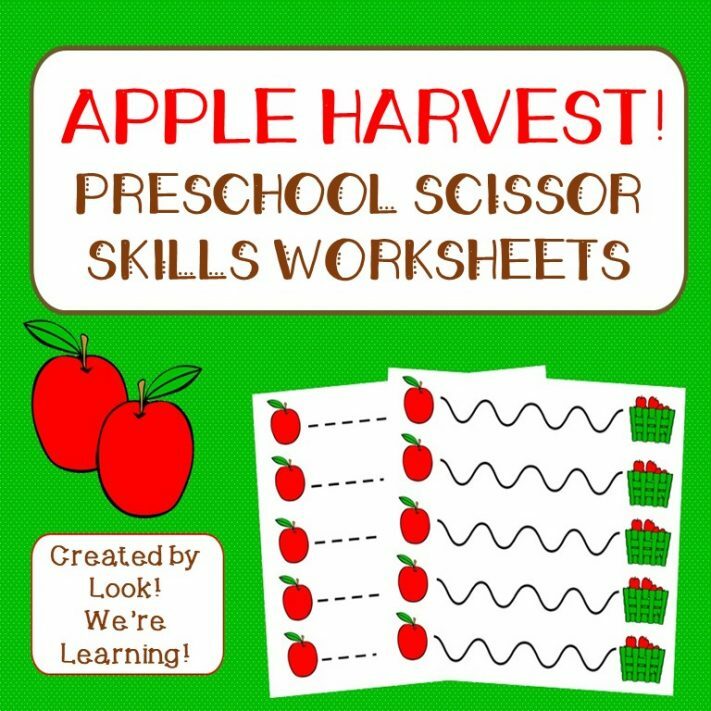 To get your copy of our free Apple Preschool Scissor Skills Worksheets, sign up for our email newsletter! 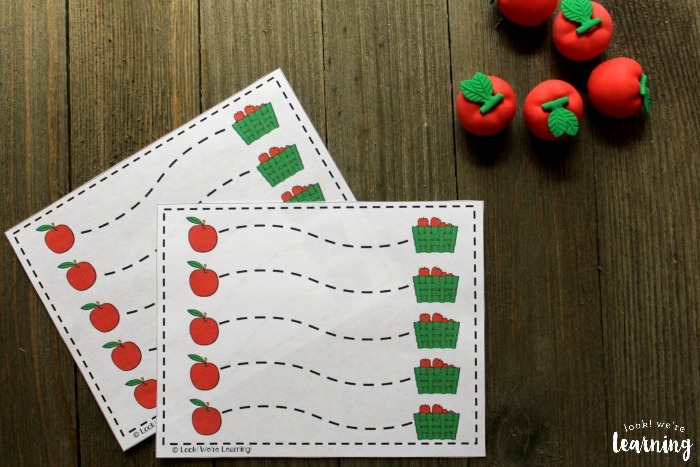 You’ll receive these set of printables, plus lots more, in our Subscriber Library! Just use the widget below to sign up.